Being a proper northerner, I bloody love a good roast dinner. One of my favourite things about the winter months has to be a nice roast of a Sunday evening. It's something that was a regular occurrence as I was growing up and has continued to be a regular winter habit now I'm older. When I went veggie, one of my thoughts was around whether or not I'd be able to enjoy a good roast. However, it was summertime and so wasn't really an imminent issue. 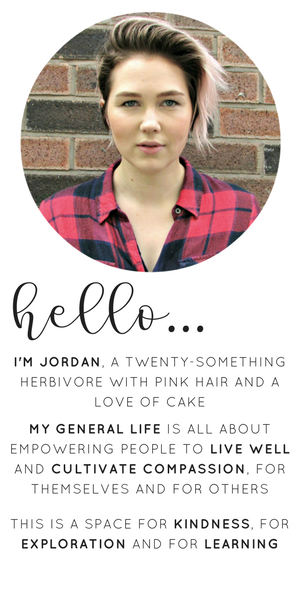 By the time winter came, I'd become more more accustomed to my new lifestyle and so the thought wasn't so daunting. For me, it's all about the accompaniments; the veggies, the stuffing, the bread sauce and most importantly the gravy! But fear not, I've managed to adapt pretty much all of these in order to make them veggie and vegan friendly whilst not compromising on taste. 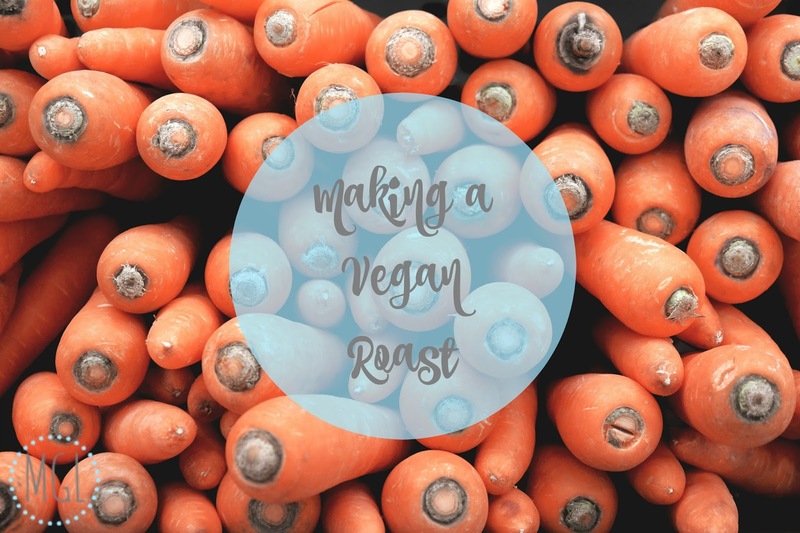 Most veggies in a roast dinner are already veggie and vegan friendly as long as you don't coat them in butter (Vitalite will work just fine) and choose vegetable oil over goose fat (according to Food Unwrapped, vegetable oil makes for the crispiest roastie!). Although there's one veggie accompaniment that I was determined to still have, and that my friends is sprouts and bacon. How might this work I hear you cry? 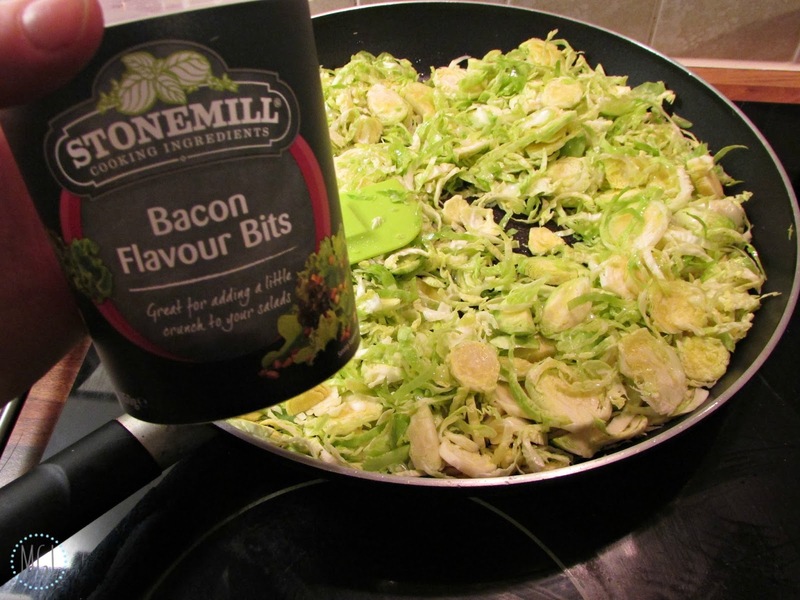 Well, fortunately for us veggies, you can buy bacon crumbles that thankfully haven't been anywhere near a pig, making them suitable for veggies and vegans alike. They are crispy and so add a nice bit of crunch and work brilliantly alongside shredded sprouts. I adore bread sauce, I'm not sure if it's just a northern thing but if you haven't tried it you really need to. Bread sauce is fine for veggies, but as it's packed with milk it's not so vegan friendly. Thankfully, it's reasonably easy to whip up a dairy free version that everyone can enjoy. 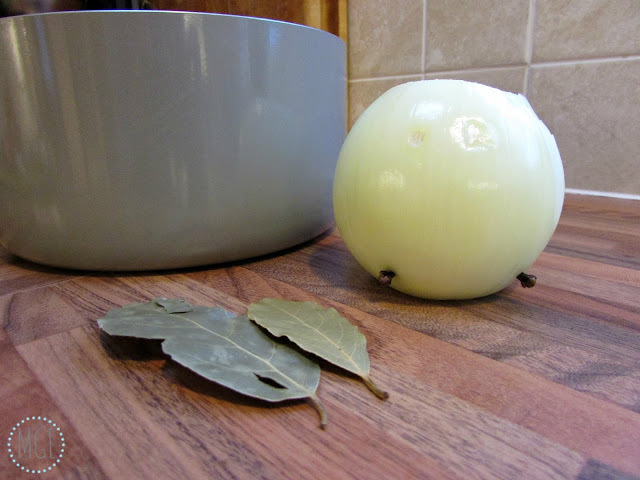 ♥ push the cloves into the onion and place in a pan along with the milk, bay leaves and nutmeg. I am a gravy fiend. I could literally drink the stuff in place of tea (I get that from my Mother). 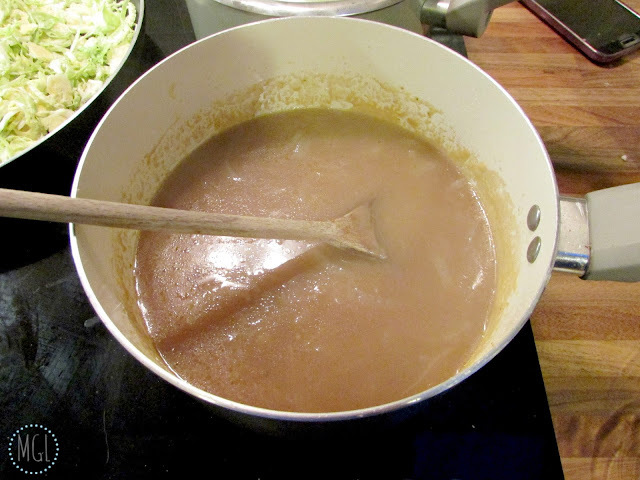 And so I like to think I'm now reasonably well practiced at making a delicious, cruelty free, vegan friendly gravy. Seriously, I really don't find there is any more effort involved in making your roast a veggie or vegan one that there is in making a traditional roast. There's no reason why you should miss out just because you don't eat animal products. What are your favourite veggie or vegan treats for your Sunday roast? I'd love to hear your thoughts either in the comments below, or you could drop me a tweet @mygenerallife. While you're here, why not check out my previous post: RECIPE | Dry Roasted Chickpeas.